The European Parliament held a meeting yesterday in honour of the International Women's Day, dedicating the event to the fight against the violence against women. In the session organized by the Committee on Gender Equality, MEP Lívia Járóka (European People's Party / Fidesz) spoke against the coercive sterilization of Roma women. MEP Lívia Járóka called it alarming that there were no proper official data about the practice of forced sterilization, which several Roma women had been subject to throughout the EU. 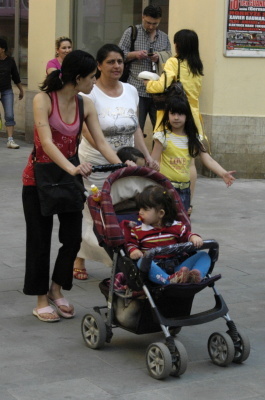 Although concerned Member States claim that coercive sterilization of Romani women has not occurred since 2004, when the issue was first officially recognized, several experts on human rights allege that this practice is continuing to date. Járóka emphasized that even though several judicial verdicts had been reached in favour of the victims, adequate compensations and official apologies in most cases were still pending. She stated that the one of the primary prerequisites for stepping up against such grievous forms of violence against women was to have proper statistical data. Járóka assured her audience that as Vice Chairwomen of the Committee on Women’s Rights and Gender Equality, she would ensure that this issue would be at the top of the committee’s and the European Parliament’s agenda.